Beira Mar Brasil in concert. 3-6 PM: Carnaval Brasileiro 2016 (including the BrazilFest Family Matinee). 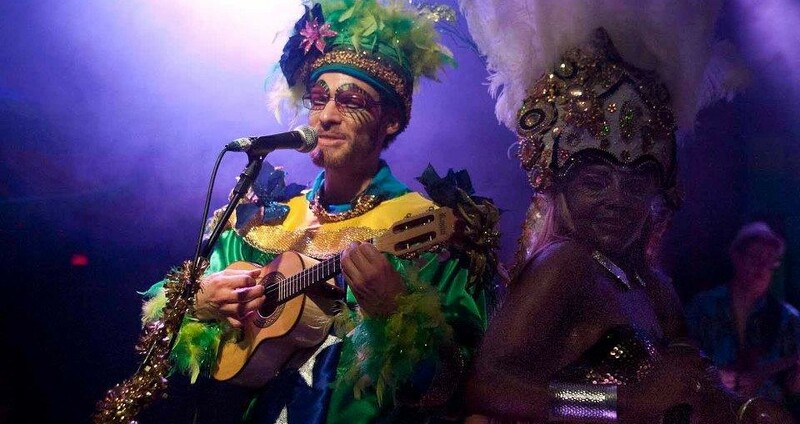 9 PM-2 AM: Carnaval Brasileiro Masquerade Ball. 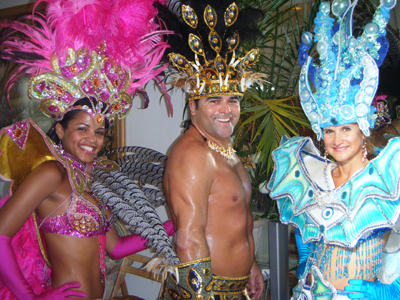 Edilson Lima (center) in carnaval regalia. The festival will be hosted by guitarist/vocalist Robert Everest and his 10-piece ensemble Beira Mar Brasil, who will be joined by a cast of musicians and dancers including samba star Dandara Odara, the professional samba dancers Edilson Lima (who has been featured on Ellen DeGeneres), Vanessa Luiz, and Mariana Urraburu, Brazilian percussion ensembles Batucada Do Norte and Drumheart, and the Brazilian martial arts group Omulu Capoeira of Minnesota. Odara performs at over 50 carnival celebrations around the world each year in Europe, North America, and Brazil; Lima was featured on The Ellen DeGeneres Show. Tickets for the afternoon BrazilFest Family Matinee are $10 in advance/$15 at the door. 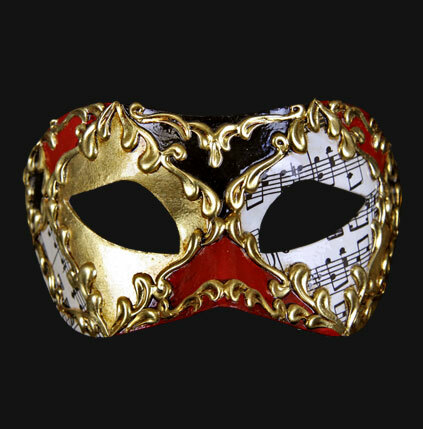 Tickets for the 18-plus Masquerade Ball are $20-30 in advance/$40 at the door. Tickets for both events are available at http://www.BrazilFest.org.